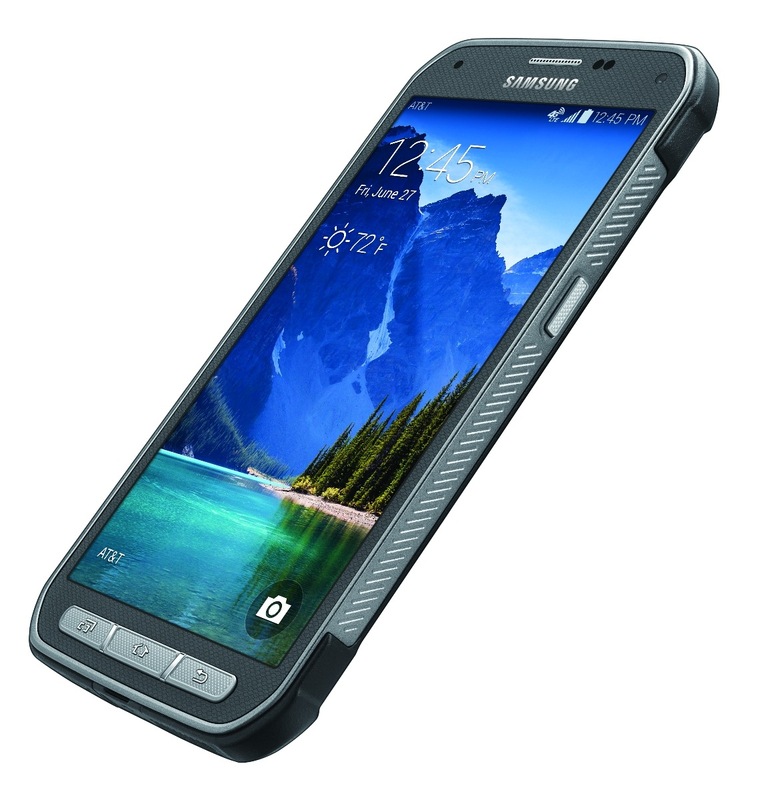 AT&T launched today, May 30, the Samsung Galaxy S5 Active, a phone that it’s almost identical to its sibling, the Galaxy S5. This phone comes with extra features, it’s resistant shocks, humidity, rain, temperature and altitude. Its price starts from $199. The Galaxy 5S was very much appreciated by the fans that wanted a waterproof resistance feature added to the device. But Samsung did more than that and took a step further, creating the Galaxy S5 Active, a smartphone that borrowed all its sibling’s features. The smartphone comes also with a 5.1-inch Super AMOLED capacitive touch screen that supports a resolution of 1080×190 pixels. The device is powered by a 2.5GHz quad-core Qualcomm Snapdragon 801 SoC with Adreno 330 GPU, and it has 2GB of RAM. It comes with a Li-Ion 2800 mAh battery and a 16 MP primary camera with LED flash, touch focus and many other options. The Galaxy S5 Active comes in three options of colors: ruby red, titanium gray and camo green. Unfortunately, Samsung had to make some changes, in order to equip the S5 Active with a protection carcass. The built-in fingerprint sensor couldn’t find its place anymore on the new device, but it’s not a big loss, according to some analysts who found this feature a little bit “cumbersome”. Galaxy S5 Active is available through AT&T and its price is $199 for a two-year service agreement, but if you want to buy it without concluding a service agreement, you’ll pay $714.99. The Samsung S5 Active was definitely created for active or clumsy people who accidentally drop their phones and spend a lot of money on new carcasses, every time their devices suffer an “accident”. From now on, their bad habits will no longer cost them money, thanks to S5 Active’s resistant carcass.